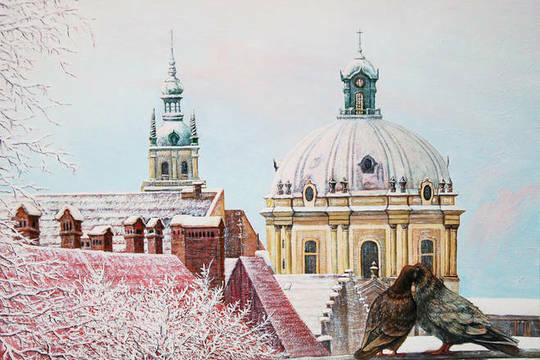 The first place is awarded to the artist Stepan Pisyo (Lvov, Ukraine). Winter landscapes he creates are conveying the holiday atmosphere, making a viewer wish to at least briefly escape the everyday hustle and admire the peaceful and magnificent beauty of the world around. Congratulations to Stepan on winning the contest! The winner is awarded with a special diploma of the International Association of designers VATIKAM. For a full month starting today, his work will be proudly displayed on the main web page of our project. Congratulations to everybody, best of luck in creative work!